In fact, not even Cherokees were happy with Warren. In a stunning rebuke, the Cherokee Nation released a statement saying, "Senator Warren is undermining tribal interests with her continued claims of tribal heritage," and that Warren's DNA test "makes a mockery out of DNA tests and its legitimate uses while also dishonoring legitimate tribal governments and their citizens, whose ancestors are well documented and whose heritage is proven." All of this should have been foreseeable by anyone with half a brain. Falsely claiming you are Native American for years is bad enough. But releasing a study demonstrating that you are 99.9 percent white -- and then claiming that such a study justifies your false claims? What made Warren, an intelligent human being, think such a thing? 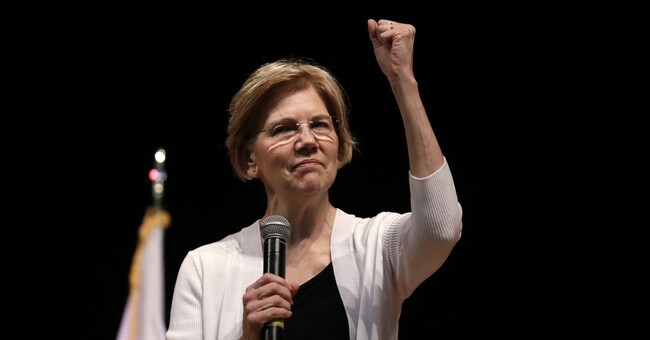 Only one simple fact: Warren knows, as everyone in politics knows, that the media will cover for nearly any instance of leftist political manipulation. They'll cover for Warren fibbing about her ancestry. They'll cover for Texas Senate candidate Beto O'Rourke driving drunk, plowing into a truck and then attempting to flee the scene of the crime. They'll cover for Arizona Senate candidate Rep. Kyrsten Sinema saying that she didn't care if Americans joined the Taliban (CNN's headline: "Kyrsten Sinema's Anti-War Activist Past Under Scrutiny as She Runs for Senate"). Democrats have the enviable advantage of being able to trot out nearly any story and be given credibility by most of the mainstream media. Non-Democrats, however, see this game. And every time the media simply parrot Democratic talking points on issues like Warren's ancestry, they undercut their credibility. Large media institutions have done more than anyone, including President Trump, to destroy their reputations with the American people. Their pathetic behavior over the past few weeks, in the approach to the 2018 elections, shows that they're doubling down on stupid.